Alka and I went to Budapest together in November 2017. It was our first trip together as adults! We also left behind our family to take the break. We wanted to make it a yearly affair and I am happy to say that we went to Paris this November! I am keeping my fingers crossed for the next year too. As this was the second trip, comparisons were bound to arise. But every trip is unique, Paris is Paris and Budapest is Budapest. But that wonderful feeling of going on a holiday with your sister was exactly the same! 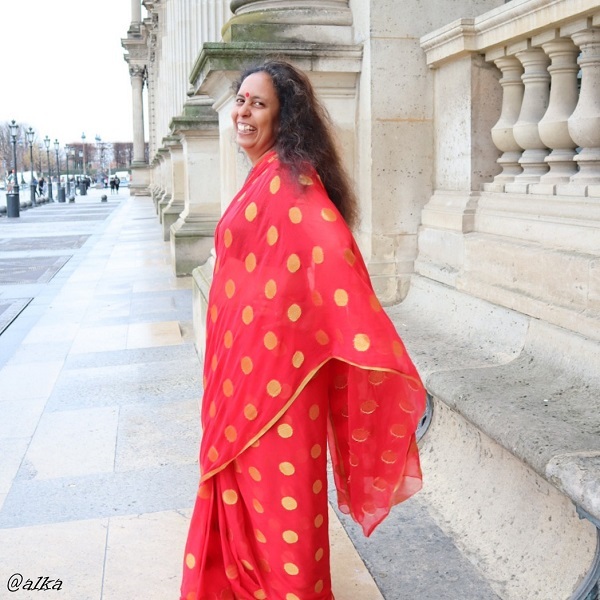 This year Alka had a grand idea- that we both will wear sari and click pictures. 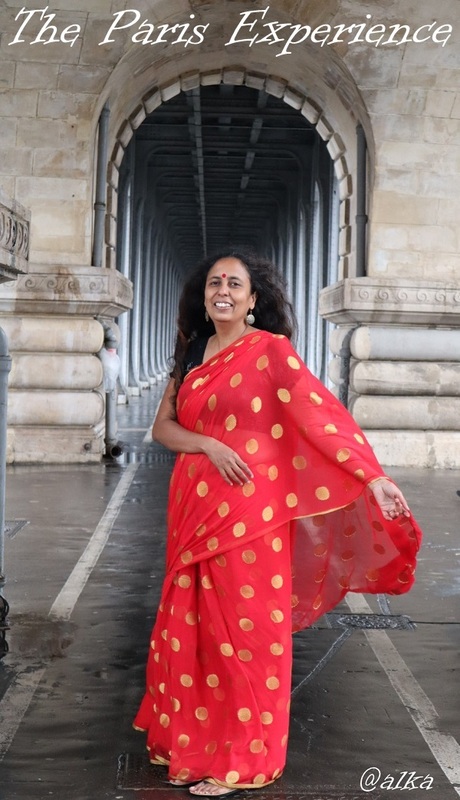 The last time I wore a sari must have been 2004 or 2005 (and it is not a typo) as I used to work in a college where it was compulsory to wear a sari on the convocation. But I left that job in 2005. Before that I wore it at my own wedding! In the end Alka could not manage a blouse for herself and I was the only candidate left with this grand scheme! I resisted it, I anyway don’t like getting clicked unless I am jumping from a cliff or something like that! But if anyone could have convinced me, it is Alka. I managed to push it till the last day! But on the last day, there she was, and I could come up with nothing to dissuade her! 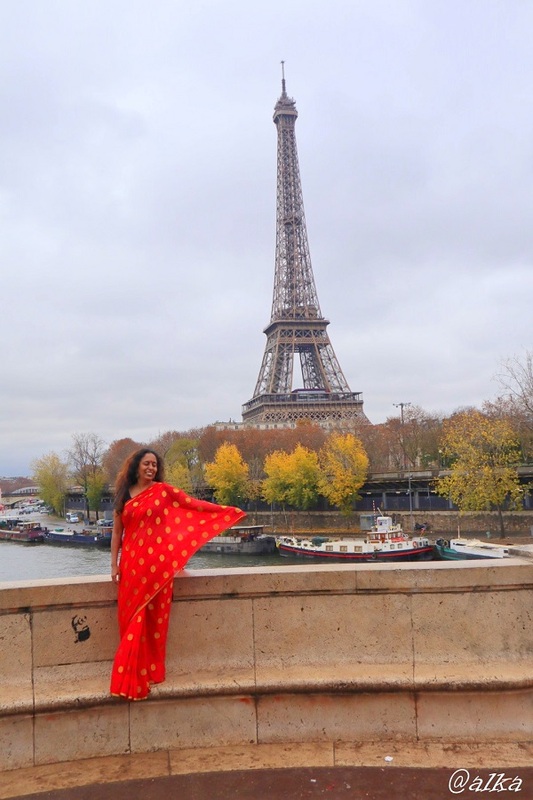 So on a cold cold day in Paris I was wearing a sari and going around in the metro trains! It attracted a ton of attention! But it was OK.
Once I wear a sari, I can deal with it though I can’t tie it completely on my own. But it didn’t take much time for Alka and I to get it done together. It was anyway mostly her doing. I am totally stiff when it comes to posing for pictures. 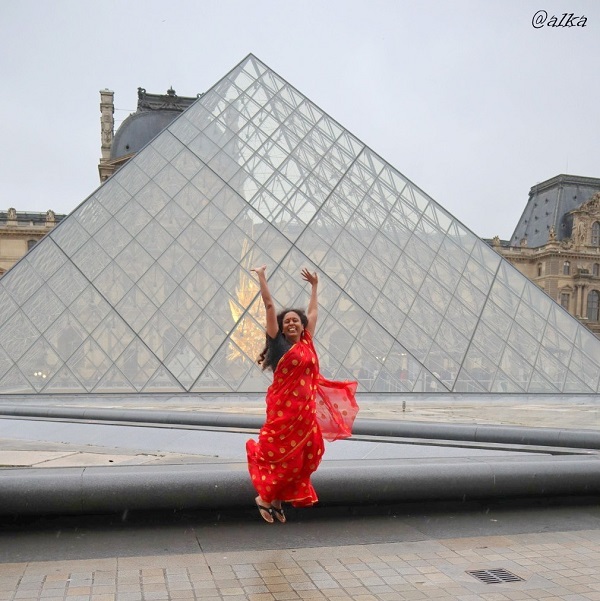 I was giving Alka a tough time, till I decided to jump, in a sari and all at the Louvre! After that I somehow lost some of my inhibition and enjoyed getting clicked, to the extent I can enjoy it! My initial proposition was that we would click around the hotel as the day was way too cold to roam around in a sari even with an overcoat. 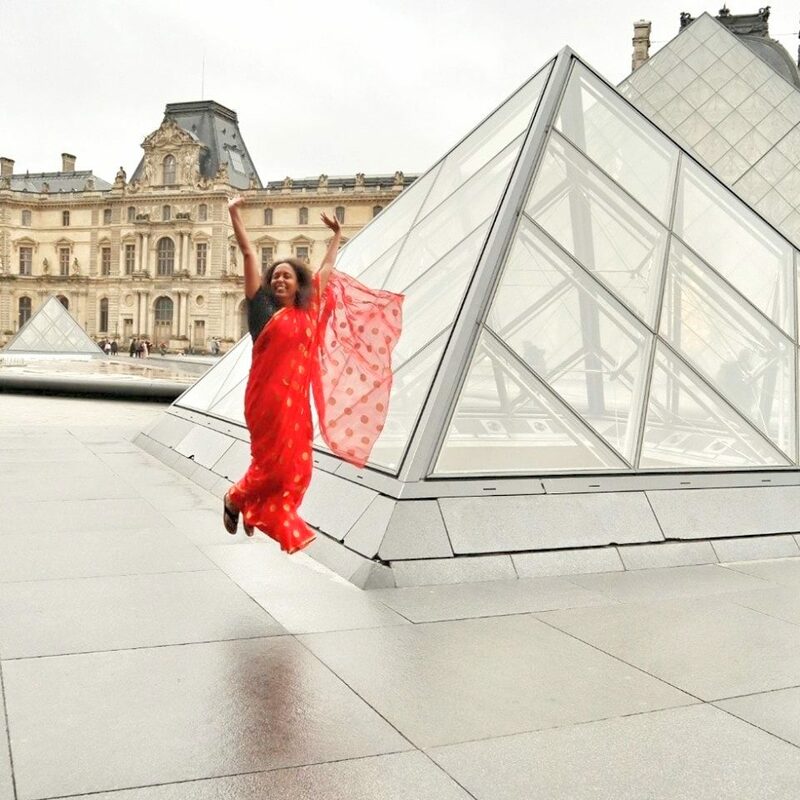 But as Louvre was on the same metro line as ours, Alka convinced me to go up to the Louvre at least. Another interesting thing is I am the one who likes to take pictures but this time Alka was behind the camera. The camera was the brand new Canon EOS M50 which I had on loan from Canon India. It is a mirrorless camera and I was keen to try it out on this trip. And somehow from Louvre we hopped on to Bir Hakeim which is a cool bridge with an excellent vantage point of Eiffel Tower! Alka wanted us to go near the Eiffel Tower too but by then I had enough. It was cold and it was drizzling. The sari was getting wet at the hem and I was finally getting uncomfortable. She readily agreed when I said I wanted to go back to the hotel and change! Will I do it again? I think I have no choice on a holiday that I take with Alka. Was it fun? Yes it was and it was a little bit of madness too, going around in sari on an overcast cold day with temperature at 6 degree Celsius! But then what is travel without a little madness, particularly when you are traveling with your sister! PS. Even though this was a personal trip, there were two collaborations that I need to mention. The France Tourism Board provided us with two 6 day travel cards for public transpor and 2 Museum Passes for 4 days; I had the M50 on loan from Canon India. A big thank you to both of them.